China has made enormous progress in developing the modern legal and regulatory foundation for the market economy. The private sector is now the main driver of growth, and new laws have gone a long way toward establishing private property rights, competition, and mechanisms for entry and exit comparable to those of many OECD countries. At the same time important challenges remain, including further clarification of the scope of state ownership, reform of relations among central and local governments, firmer establishment of the rule of law, and strengthening of regulatory institutions and processes. 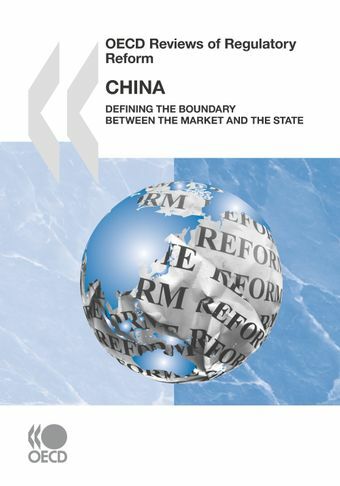 This review of China's regulatory system focuses on the overall economic context for regulatory reform, the government’s capacity to manage regulatory reform, competition policy and enforcement, and market openness. The review also examines the regulatory framework in the electricity, water and health care sectors. As for OECD countries, the review follows a multidisciplinary and highly interactive approach. A number of OECD instruments and policies are used in this assessment, although the review also takes into account the specific challenges faced by the Chinese authorities. The review includes a comprehensive set of policy recommendations.